I believe the power to achieve anything begins with setting goals, being passionate and creating a blue print for action. I took time to carefully plan out a routine that helps me balance my work and fitness program with which I ensure I follow with great discipline. I work out either early from 5am in the morning or from 6pm after work. Although I had been running intermittently for some time, I gave my full commitment to running in the first quarter of 2017, pushing myself more and participating in community and group events. Apart from the awesome health benefits I get from running and exercising, I realised over time I had a passion for the sport, and the idea of reaching the finish line in record time always gives me the best feeling ever. 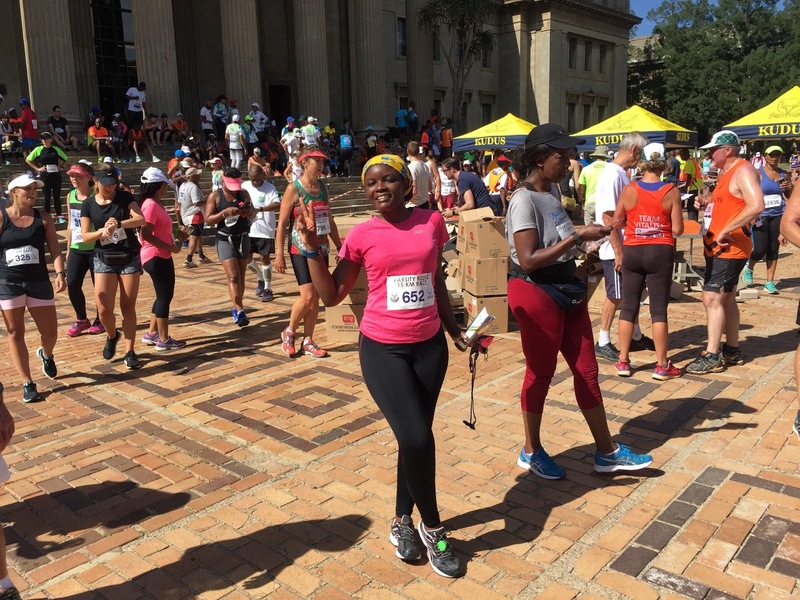 For me it was unvarying build-up to fitness – walking, jogging, and then running. 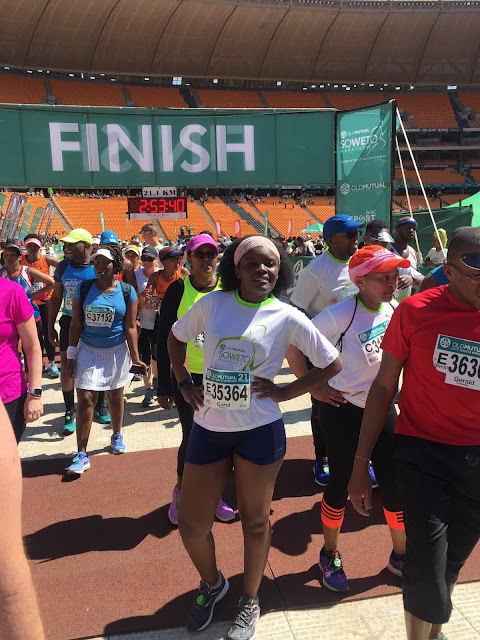 Whilst gaining experience and stamina through groups and locally organised events, I then participated in the Soweto half Marathon and finished successfully within the time line had set for myself. I consider the Soweto 21km half marathon a great step for the next level. It was a confidence booster. I am fortunate to be in a neighbourhood where you find couples, running groups and individuals running from the early hours of the morning and evenings. That not only inspires me, it gives me the confidence as well. I also keep myself apprised with the happenings around my area to ensure my personal safety is not comprised. I believe we all should develop the habit of exercising. The benefits are enormous not only do we feel physically energised and fit, we also develop strong mental fitness which is essential for mind and body. Just by taking a few minutes every day to work out, we can greatly enhance our physical emotional and mental well being. I ensure I maintain a balanced healthy routine. By doing this, I am able to minimise physical or mental strain and still keep my momentum going. In addition to that, I take time out to recuperate my body after events or long periods of work out. There great website and blogs to visit to get great tips on how to rejuvenate your body and stay health.